Get out your running shoes! The Omer is a marathon of cosmic cleansing. Kabbalah teaches us that during these forty-nine days following Pesach, we need to take great care in ridding all negative influences from every area of our lives. After Pesach, we begin anticipating Shavuot, the next holiday and in essence the conclusion of Pesach. Pesach was a free connection. The Omer is the work we do to earn the Light of Pesach and Shavuot. 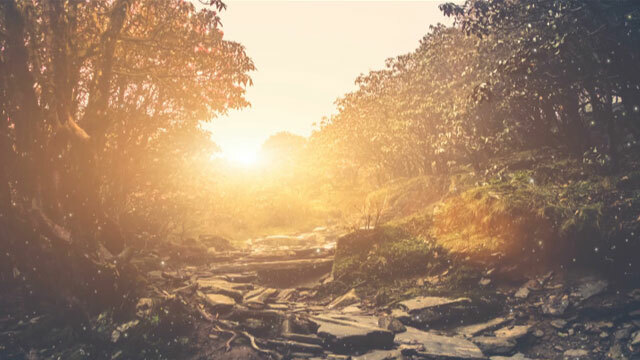 We cleanse ourselves by counting the days of the Omer until Shavuot's arrival. The Omer is counted from the second night of Pesach through the night before Shavuot. It is best to count the Omer at nightfall; however, one may count at any time throughout the night. Over the seven weeks we have the opportunity to break open klipot (negative shells) from within our being, releasing the Light that has been trapped by our own choices. Yes, the extraction process may be painful. But the benefits of releasing the trapped sparks of Light are more than worth it. Chesed, the most expansive of the Sefirot, representing Mercy, sits below Chochmah on the right-hand column. 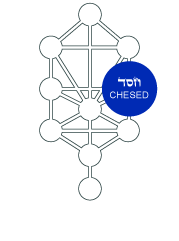 Chesed, representing pure positive energy, holds the still undifferentiated seed of all that has taken place between the upper Sefirot, and since it represents the total Desire to Share, it can be generous to a fault. We all have seen Chesed run amok. It is the person who weeps more for the criminal than for his victim; it is the poor man who has won the lottery and gives every penny of his new fortune to charity, leaving his own family destitute. Unrestrained, Chesed gives until it hurts - to almost everybody. The energy of today is Loving-Kindness of Loving-Kindness. Just for today and today only express kindness by smiling all day no matter what happens. The energy of today is Discipline in Loving-Kindness, so just for today replace every critical thought with a thought of appreciation. The energy of today is Harmony in Loving-Kindness. Just for today notice the beauty that is all around you. The energy of today is Endurance in Loving-Kindness. Just for today let's push ourselves to do something for somebody else that we only want to do for ourselves. The energy for today is Humility in Loving-Kindness. Just for today follow instead of lead. See what it is like to do what someone else thinks is right. The energy of today is Bonding in Loving-Kindness. Just for today do something with someone you would not usually work or socialize with. The energy of today is Leadership in Loving-Kindness. Just for today focus on the things you love to do and do it for another.